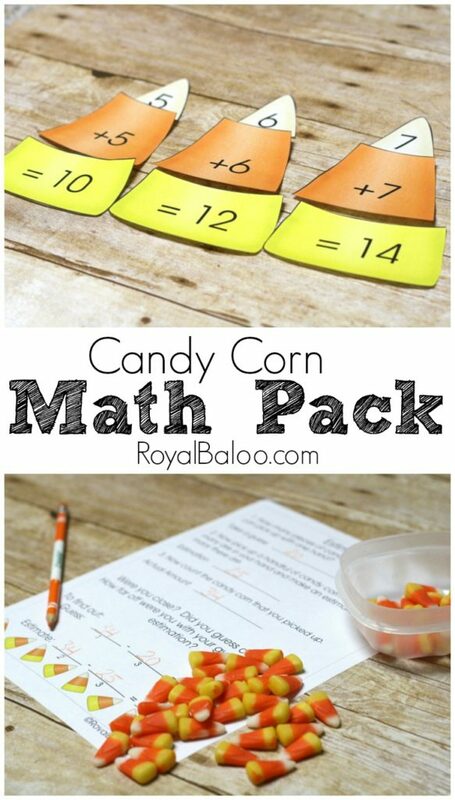 Juicy Candy Corn Math Pack for Addition, Estimation, etc. Candy Corn. The one candy that almost no one likes! Yet, it’s widely popular this time of year. I have never really been a fan but the boys do love it. I mean, it’s basically sugar, a lot of cruddy stuff, and food coloring. 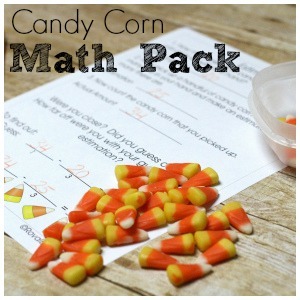 But Baloo specifically requested candy corn school and I rarely turn down a request for more school!! 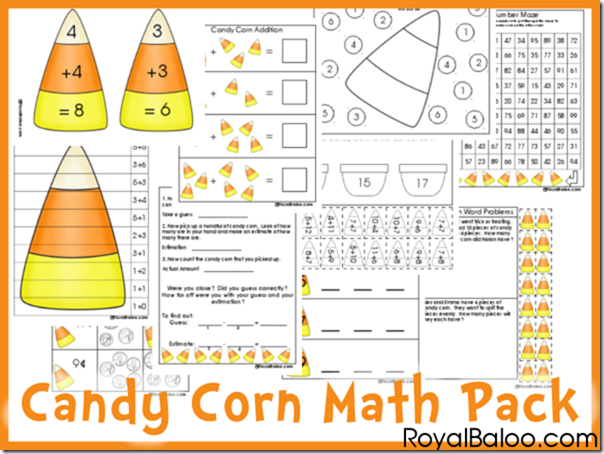 We have some math skills we are working on so I put together a fun candy corn math pack! Speaking of Candy Corn, has anyone tried these Candy Corn Oreos? It looks so weird to me. I wanted to highlight a few things in the pack! 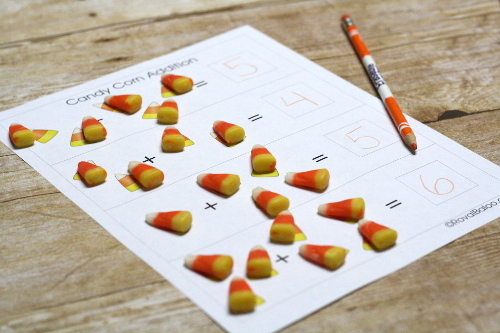 Doubles addition candy corn puzzles. I put doubles from 1-10 in there! Essentially the top and middle combined equal the bottom. I just did doubles though because that’s something we are working on! This book by Kevin Henkes is adorable. Julius eats all the candy corn off the top of his cupcakes and it’s kind of endearing. This estimation activity is always a hit! 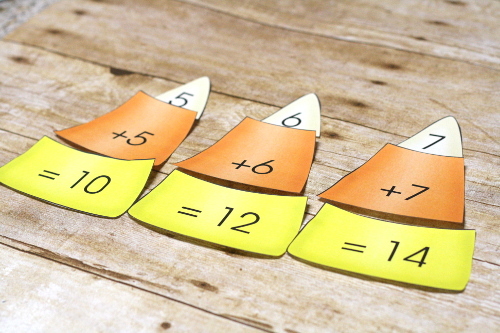 Start by having your child guess how many they can pick up. Then have them grab a BIG handful and see if they can estimate how many is actually in their hand. Finally, count what they actually picked up! At the bottom are some subtraction problems to figure out how close they were! It would be fun to have multiple people complete this and compare their answers! Who has the biggest hands? Who grabbed the most? How many more did they grab? 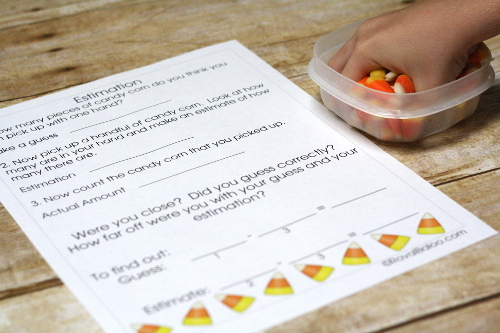 Basic addition is always more fun when candy is included. 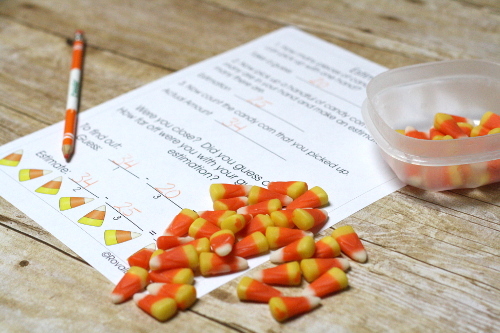 We just matched the real candy corn to the images on the page. Much more entertaining! And of course, they got to a eat a few as well. 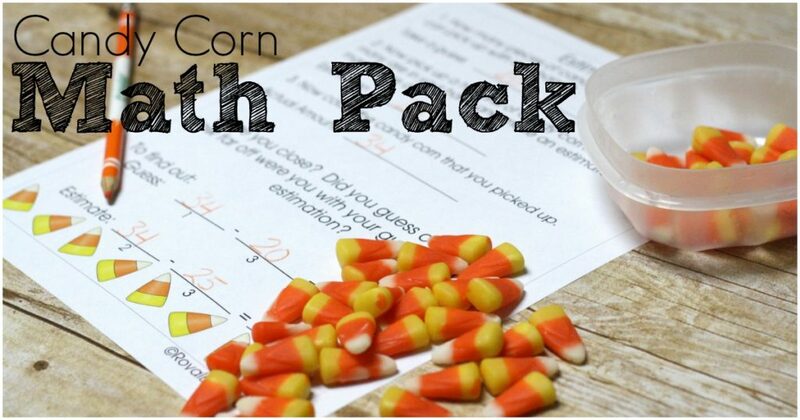 What’s in the Candy Corn Math pack? This is Day 4 in my 31 days of Homeschool Printables! Check out the main page for the rest of the links! PS I think there is may be typo w/ the first candy corn; should the 3 be a 2? I can just fiz it myself…thanks again for your great ideas! Whoops! Fixed now, thanks for letting me know! Hi! I love this pack, thank you so much! I can’t wait to do it together with my kinder boy. One question though – this is my first time at your website, so please bear with me – I am unclear as to what my son should do with page #11? Thanks! Thanks so much for this! My boys will love it! Hello, this is a super cute kit. I was wondering how the roll and color works. Thanks in advance! Basically though, depending on the page, use one or two dice. If you roll one, color the number that you roll. 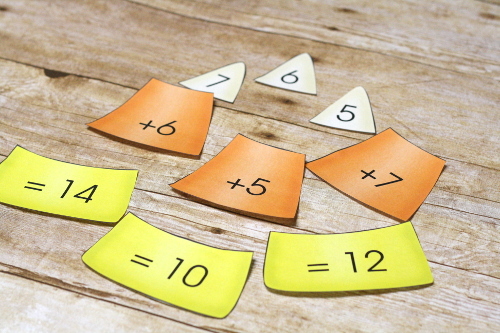 If you roll two, add them together and color that number. When all the numbers are colored, you’re done! If you have multiple children you can have them race, or have them work together on one sheet 🙂 Hope that helps! Very helpful, thanks. I had thought maybe thats what you did but I wasn’t sure and I hadn’t thought to look elsewhere on your page yet. Thanks for sharing! Thank you so much for the wonderful freebie. I love Candy Corn. I hope my students will too.